BJJ Legends: How about Kyra? When she was on her path towards MMA… It’s been temporarily set off for even better reasons now. Bless you and your family for that. What are your thoughts on her competing or women competing at large? I know I’ve heard you talk about Ronda a little bit. You seem very enthusiastic and encouraging about her, but there’s some questions. Dana White, himself, said you’d never see women in the UFC, which essentially meant you hardly ever see them in MMA. He changed his mind. Ronda Rousey made him change his mind. I’ve seen Kyra compete a number of times in Jiu-Jitsu competition. Lovely girl. I had the opportunity of interviewing her as well. What are your thoughts on a member of your own family, who’s a female, competing in MMA, as capable as she is? And how does that apply to other women as well, to the sport? Rickson Gracie: If you pick generally 100 women, at the most, 10 will like to compete in something like that. I don’t believe, based on my experience, women have this appealing desire to compete in such a violent and aggressive element. Normally they don’t belong to that kind of competitiveness. It’s not common. It’s not for everyone. Even for men, it’s a kind of little fraction there who doesn’t fit. Imagine for women, but that is maybe one out of 100 that makes a very special desire to confront, to go, and feels like, “Okay. I’m born to do this.” I have to respect that. For those very small percentage, Jiu-Jitsu competition, Vale Tudo or MMA will fit. But for the 99% who doesn’t kind of have the appealing for that, they’ll still be very motivated to learn self-defense, to learn how they can be able to deflect some aggressor, how to stand up from a guy who’s trying to keep her and force her or something. So the idea of deflection, the idea of empowerment, the idea of defense is appealing for any women or any children. The aggressiveness, the competitiveness, the toughness, and the willing to sacrifice every day and get punched, that’s not appealing for every woman. For these few who like it, I encourage and be positive about it, but that’s not exactly… I don’t believe every woman has to compete or even to have the pleasure to see a fight. Some don’t even like it. They see the fight. They turn it off. They put on something. So I’m favored to help those too. 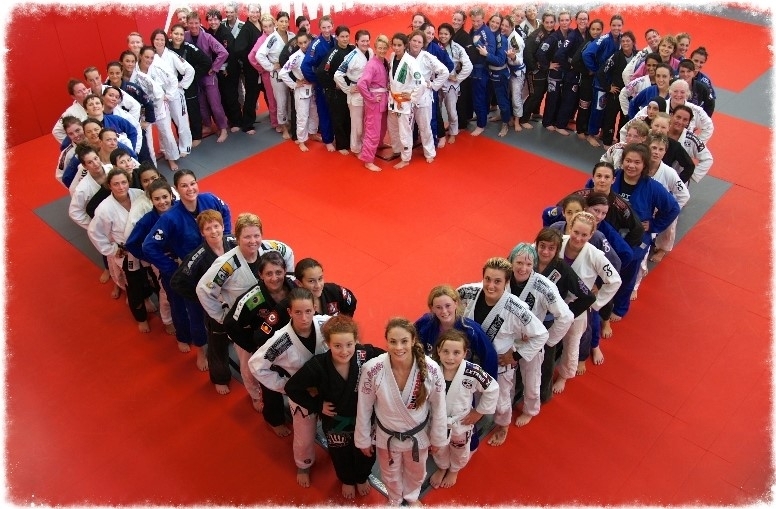 I think Jiu-Jitsu has a place to favor those general women, like soft art. That’s why Jiu-Jitsu is also called soft art. Tomorrow: We get Rickson’s thoughts about Ronda Rousey stating she could beat any BJJ female in a BJJ competition.